DIY Washer Hoop Earrings | MeetMinnie. INSTRUCTIONS: You know what we love about this project? It's one of those throw-it-together-as-you-run-out-the-door projects. 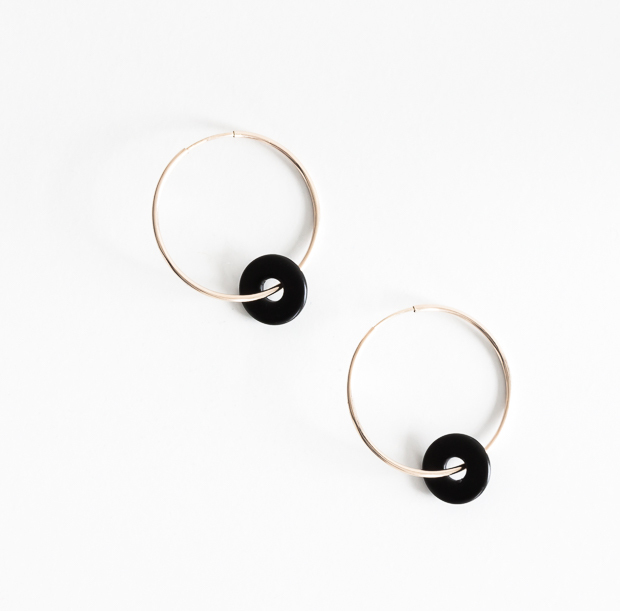 Simply add a washer to each hoop earring and go-go.